Millennium Tower is a 35 storey super condo with only 20 units of properties, completed in 2005. Each unit occupies 1 ½ storey duplex, with large built-up area of 6.300 sq.ft to 9,580 sq.ft. Each unit can accommodate 1 to 5 public rooms and 5 to 7 bedrooms. Reportedly, the walls can be moved to meet the owners' preference. 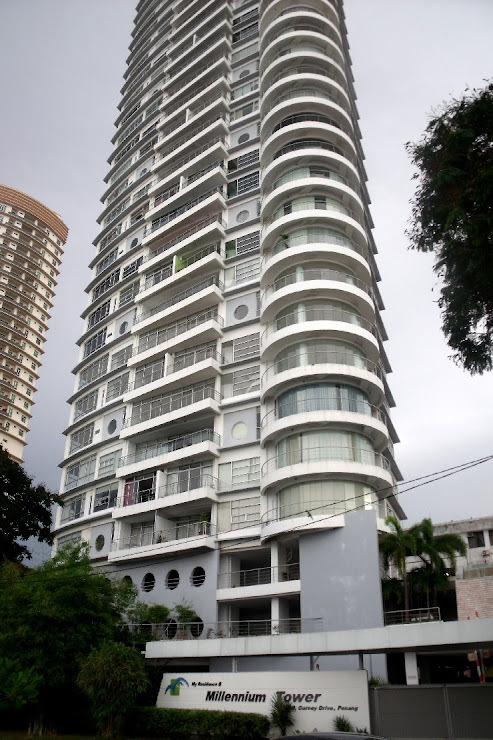 Due to its height, the residents can enjoy 360 degrees unobstructed sea view, Penang city skyline and the Penang Bridge from a distance. The facilities available include 24 hours security, 3 covered parking bays per unit, infinity pool, waterfall and landscape garden, rock climbing wall, private spa suites, Jacuzzi, sauna, steam bath, massage bed, gymnasium and barbecue area. The tenure is freehold.